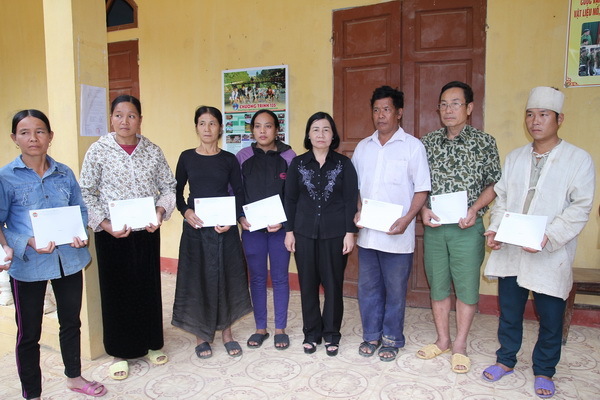 The working group of VNFU Central Organ led by Vice Chairwoman Nguyen Hong Ly had paid a visit to households heavily affected by Storm no. 12 in Phu Yen Province. On November 7, VNFU Central Organ in collaboration with Phu Yen Provincial FU had visited, encouraged and given support to families suffering from Storm no.12. 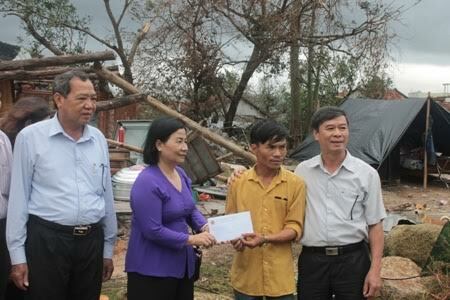 The total support handed to the local victims by the working group was 50 million dong. Tran Can (Hoa Xuan Nam Commune, Dong Hoa District) said: “The Storm no.12 has completely destroyed my house. For a few days now, my 4-member family has to live in a makeshift tent made of canvas. The problem is that we don’t have money to rebuild the house due to financial difficulty. Thus, 2 million dong received from VNFU really makes my day”. VNFU Vice Chairman Nguyen Hong Ly gives present to Tran Can. 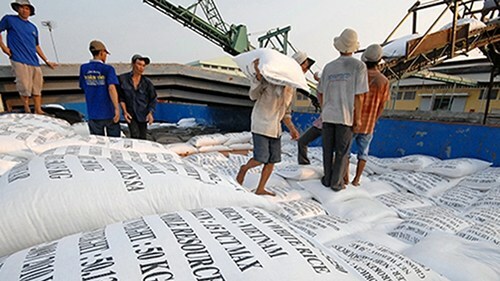 According to Secretary of Hoa Xuan Nam Communal Party Committee - Tran Trong Quyen, Storm no.12 wiped out not only crops, but also aquaculture stocks, houses and traffic roads. Preliminary statistics show that 18 houses are completely collapsed and over 95% houses are unroofed. Chairman of Phu Yen Provincial FU, Le Du shared that after the storm, provincial FU had joined hand with other provinces to help people repair their houses, families under preferential treatment policy and families short of manpower overcome difficulties to get their life back to normal. On behalf of VNFU, Vice Chairwoman Nguyen Hong Ly expressed empathy and encouraged all victims. Even though the support was not big, it represented affections and responsibility of members nationalwide in attempt to help and share with people suffering from the storm. 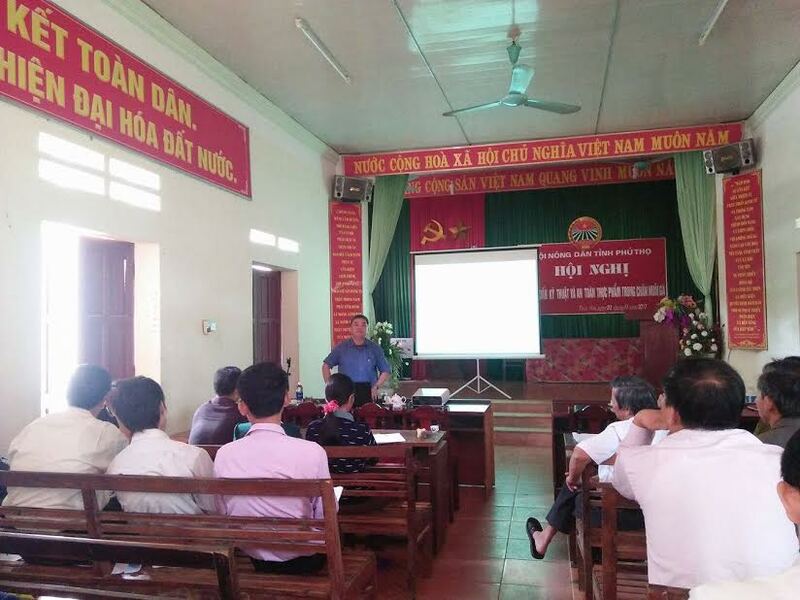 Bac Giang: internet training for 50 farmer members. VNFU and VCA signed cooperation program to promote agriculture collective economic development. VNFU support for flood victims families in the central. Bank support for drought and salt water intrusion. VNFU officials participate in ASEAN Learning Route on Agricultural Cooperatives in Thailand and Philippines.